Woad plant is also known as Isatis. This is Dyers Woad, Isatis tinctoria, source of a natural blue dye used in Europe since medieval times. Herb also has an antiviral action, being used in Ayurvedic medicine for immune system support and treatment of urinary tract infections. Woad plant is native to Europe and Asia, being adaptable to most soils and positions. Frost and drought tolerant. Herbaceous perennial to 1.2m. Bright yellow flowers in spring and summer. 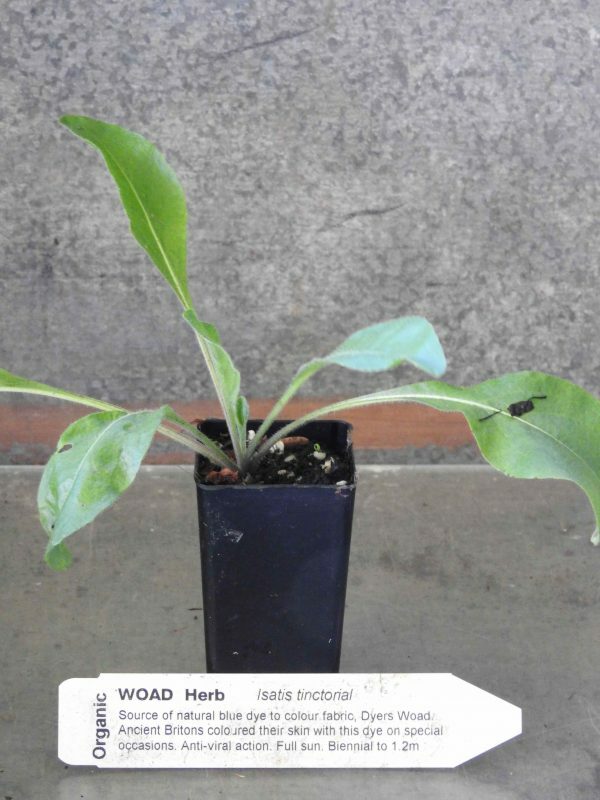 Seed for Woad plants is also available. Be the first to review “Woad, plant” Click here to cancel reply.